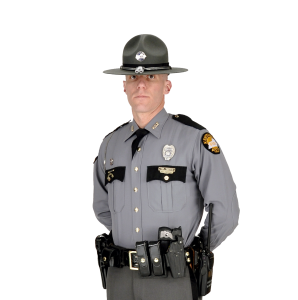 Sandy Hook, Ky.(January 16, 2019) The Kentucky State Police Post 8 in Morehead received a call for assistance with a two vehicle fatal collision in Elliott County. James Barker, 38 years of age, of Sandy Hook was traveling south on KY 7 in a black Toyota Scion. Gage Evans, 18 years of age, of Sandy Hook was operating a white Chevy pickup traveling north on KY 7. It was determined that Mr. Barker crossed the center line and struck Mr. Evans. James Barker was pronounced decease on the scene by Elliott County Coroner Steven Whitt. Gage Evans and his passenger, Clark Howard, age 18 of Sandy Hook, was transported to the St. Claire Hospital in Morehead. The Kentucky State Police was assisted by the Elliott County Fire and Rescue, Elliott County EMS and Elliott County Coroner. This collision is being investigated by the Kentucky State Police Post 8 in Morehead.